For awhile there, I was doing the late night rounds of the slice pizza joints along and around Commerical Drive. I forgot about it somewhat, only to return when I really had no one to eat with. 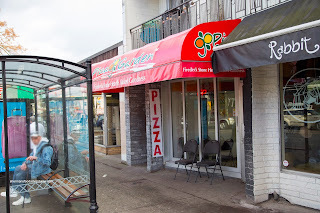 Having not visited Pizza Garden in 4 years, it was good as any other time to head back. Interestingly, the pizza has moved towards a Neapolitan-style thin crust. So I grabbed some slices to see what it was all about. On a side note, it was almost impossible to take a picture of the front due to the bus stop... I hope they get a discount in rent! Seeing all the available choices, I got one of each to go. After a brief stint in the toaster oven, I gave both the Pepperoni and the Prosciutto Funghi a try first. I found the crust sufficiently thin, yet not super thin. Despite the use of a wood-fired oven, there was only the slightest hint of leoparding. Therefore, the crust was crunchy while not smoky nor super flavourful. On the other hand, the salty meat toppings made up for it while the mild tomato sauce hid in the background. There wasn't a whole lot of cheese, but that is not the point of this type of pizza anyways. 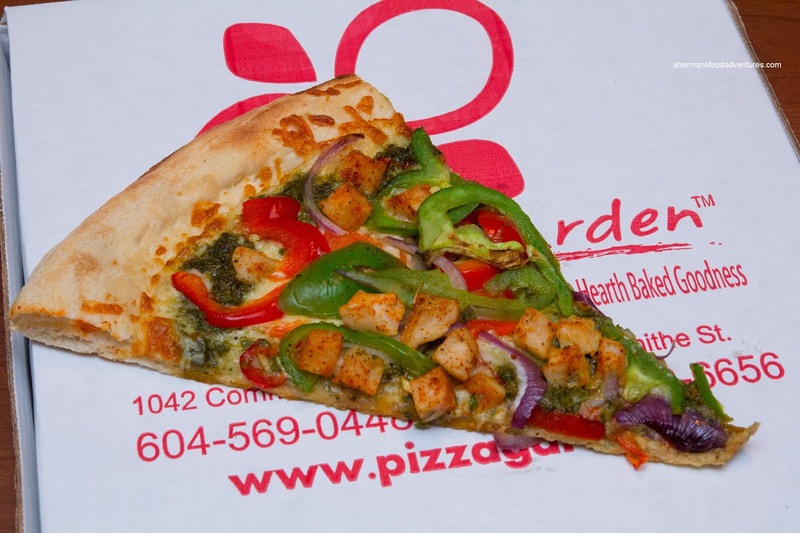 Moving on, I tried the Pollo Eccellente consisting of alfredo sauce, fior di latte, grano padano, grilled chicken, spinach, red onions and roasted red peppers. As expected, the slice was not devoid of various flavours due to the amount of ingredients. It could've done with a few less peppers though. The last 2 slices consisted of Amante Spinaci (mozzarella, fior di latte, grano padano, pomodoro, spinach, black olives, ricotta, and pesto) and Hawaiian. The veggie slice benefited from the olives and feta where it added the necessary flavours. As seen in the picture, the Hawaiian was covered in ham. 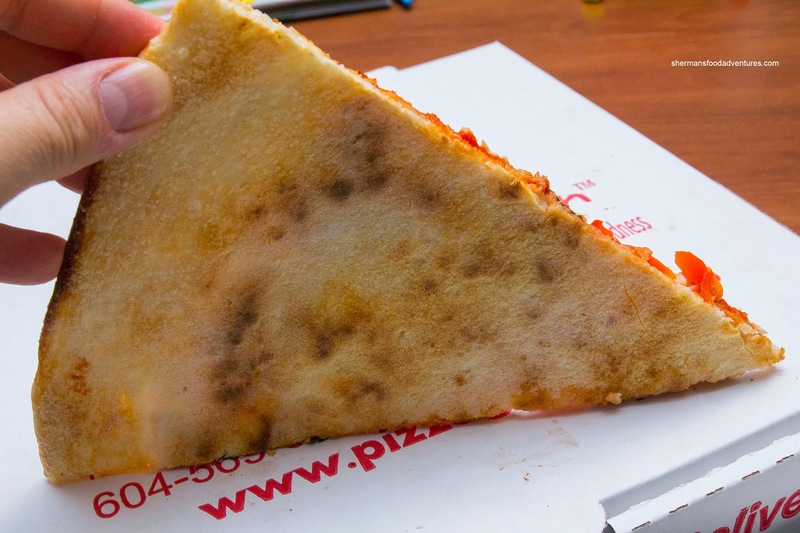 For a slice pizza joint, it is nice to see that they are doing something different with the crust. However, it could've benefited from more charring and leoparding for a Neapolitan pizza. The brand of oven that they use at Pizza Gardens is called Wood Stone, however it runs on natural gas (the flames you see inside are from the gas jets). You can see how many people could be misled, especially when they advertise their product as "Wood Stone Fired Neapolitan Style Pizzas". They run their oven temperature at 700 degrees, which is at least 200 degrees lower than what most wood fired ovens run at. This would explain the lack of both leoparding and smokiness. They do use the Caputo 00 flour which makes for the great,slightly chewy crust. 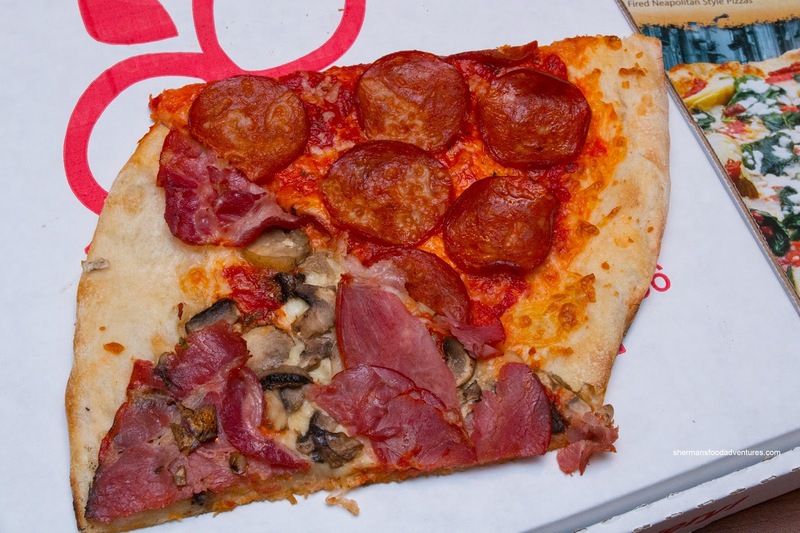 While this pizza might not be as authentic as a true VPN certified neapolitan pizza, it is still one of my top favourites and definitely # 1 in the pizza-by-the-slice market. Agree with Steve. 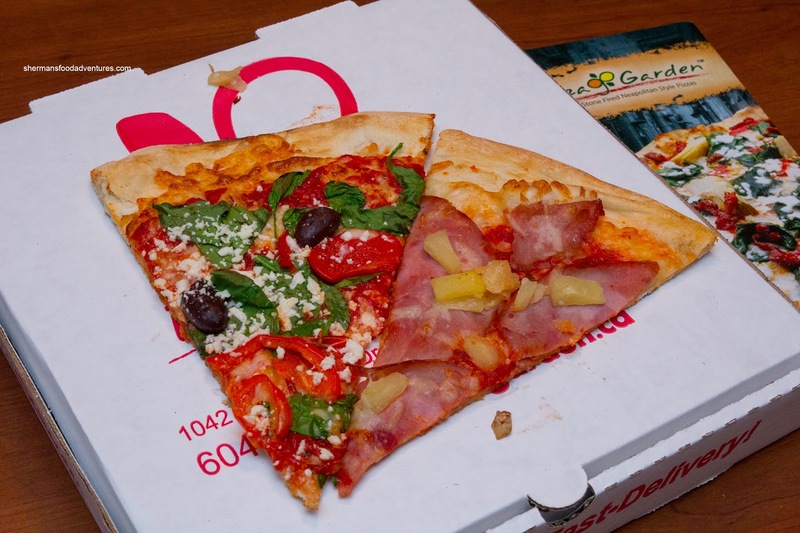 PG is not "as authentic as a true VPN certified neapolitan pizza", but for $2.25 a slice, it's the best for the money in the city ! I was just there on Sunday with my son, we shared 5 slices. The roasted garlic + cherry tomatoes was great. @LR and Steve Yup, Pizza Garden is still good, especially for the price. But for those food snobs out there, I had to point out the differences, otherwise I'd get the "that's not real Neapolitan pizza... yada yada yada..."